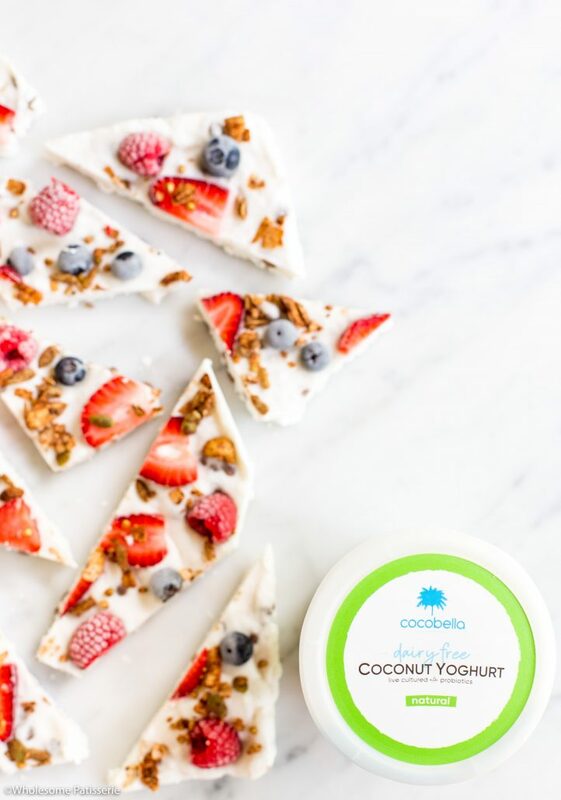 Do you enjoy yoghurt, granola and fresh fruit for your breakfast? Well haven’t I got a treat for you! Take that same concept but turn it into a frozen bark! Pretty cool right? I’ll be honest and say that I don’t really ever reach for yoghurt, berries and granola for breakfast (I’m more of a savoury gal, you know, smashed avo on toast with all the toppings). For those of you who are the same, I think you’re going to really enjoy this recipe! Because frozen sweet treats are always a winner! I used coconut yoghurt for my bark but you can go ahead and use your favourite yoghurt. Weather that be regular plain or flavoured yoghurt, greek yoghurt or the coconut yoghurt, the choice is yours my friend! 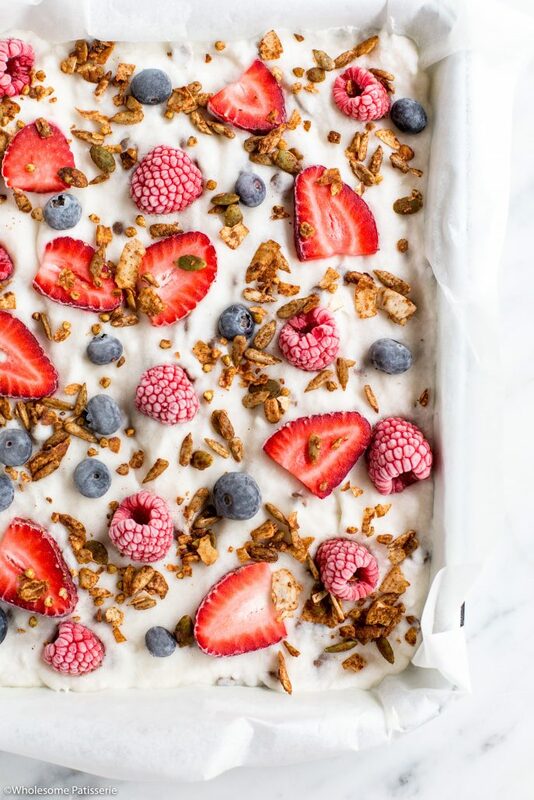 So when do we enjoy this delicious frozen yoghurt berry bark? Hmm… whenever we wish! 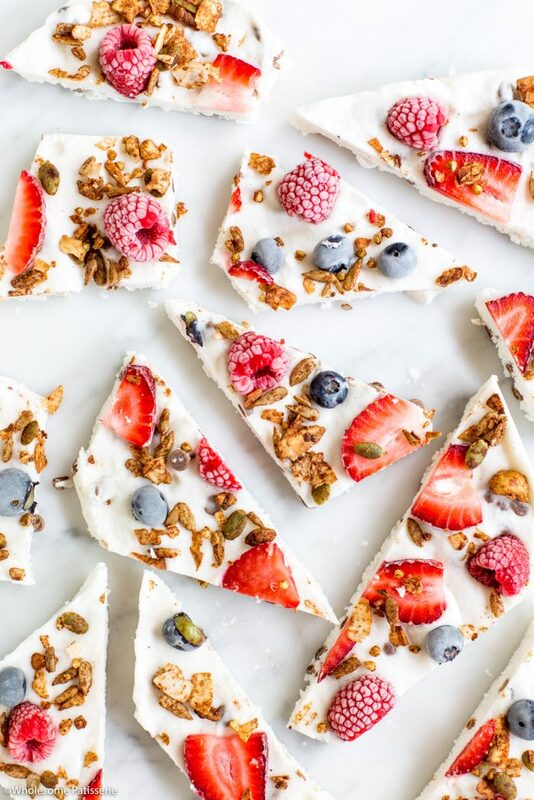 If you’re experiencing warmer weather, enjoy a few slices of this for your breakfast, it will be so incredibly refreshing! Line a 9” x 10” baking tray with parchment paper, set aside. In a mixing bowl, add yoghurt and mix until smooth. Stir through maple syrup and vanilla. Spread yoghurt mixture into lined tray, smoothing out the top. 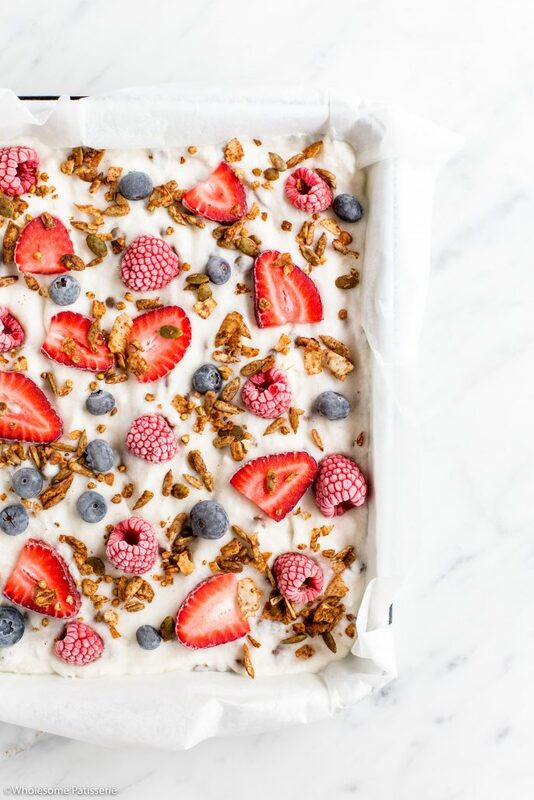 Scatter over strawberries, raspberries, blueberries and granola. Set in freezer for 3-6 hours or overnight, until completely hardened. Remove from freezer and slice into pieces. Store in an airtight container, in the freezer, for 1-2 weeks. *I used Organic Times Milk Chocolate Drops. If you want a complete dairy free bark, sub for dairy free dark chocolate.